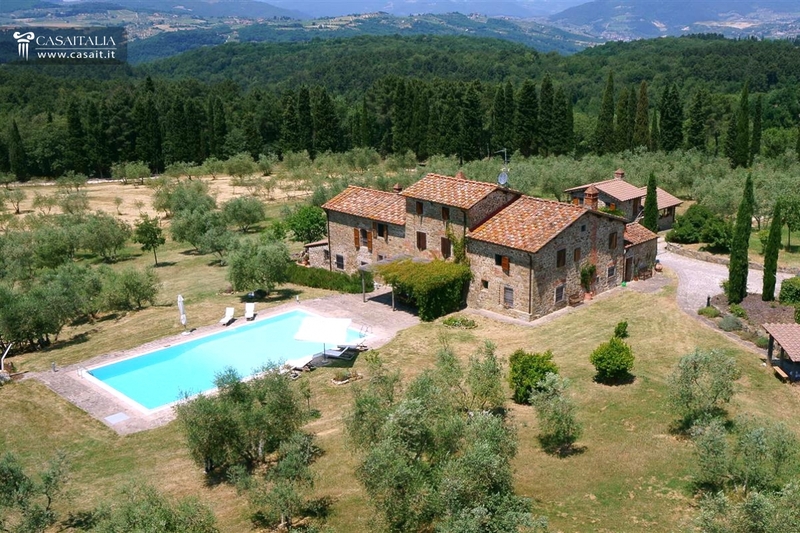 We are in Tuscany, just 30 km from Florence and in a hillside location, which is panoramic and easy to get to. 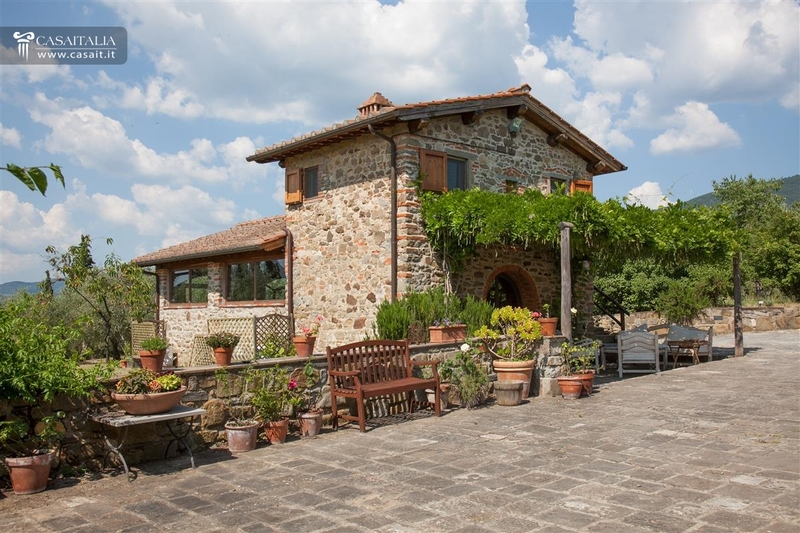 The property consists of a main country house, which has a gross floor area of 556 sqm, an annexe of 87 sqm and a small storehouse of 16 sqm. 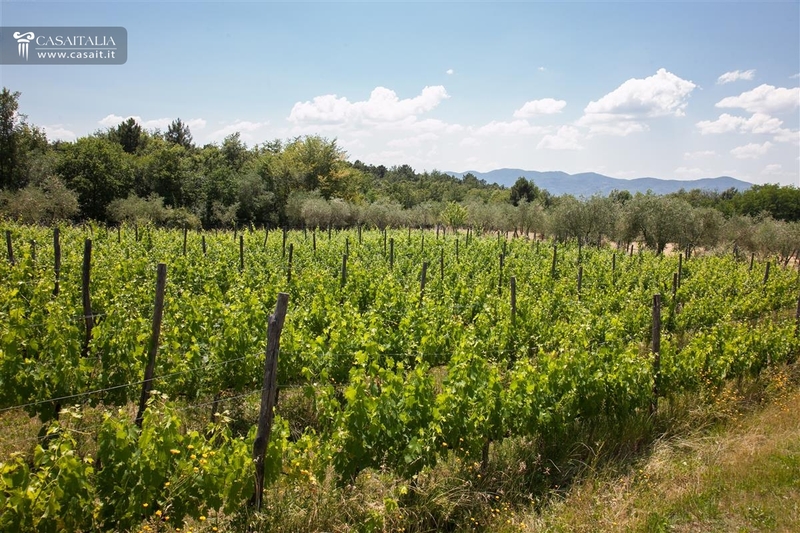 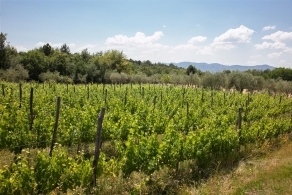 It is surrounded by 11 hectares of private land, over half of which is cultivated as olive groves and has a vineyard. 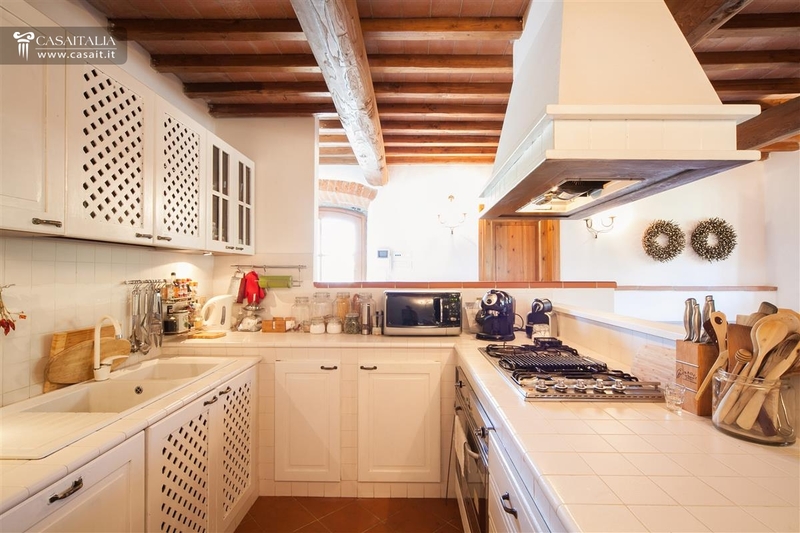 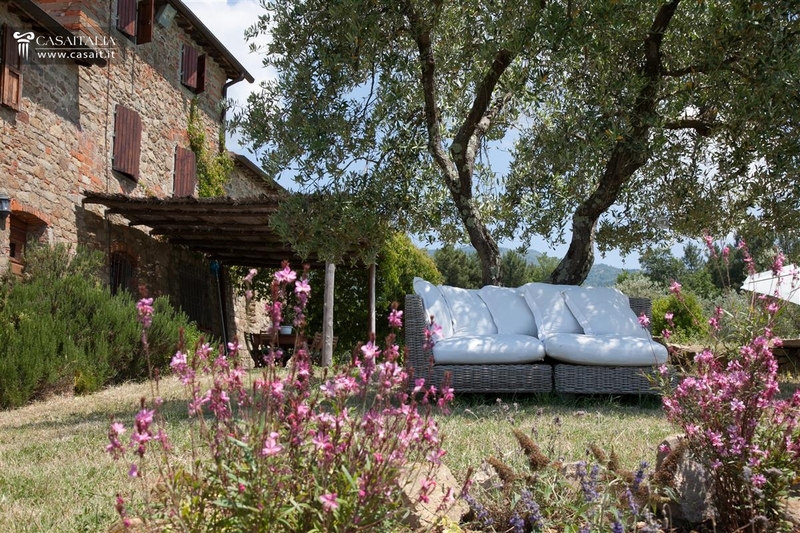 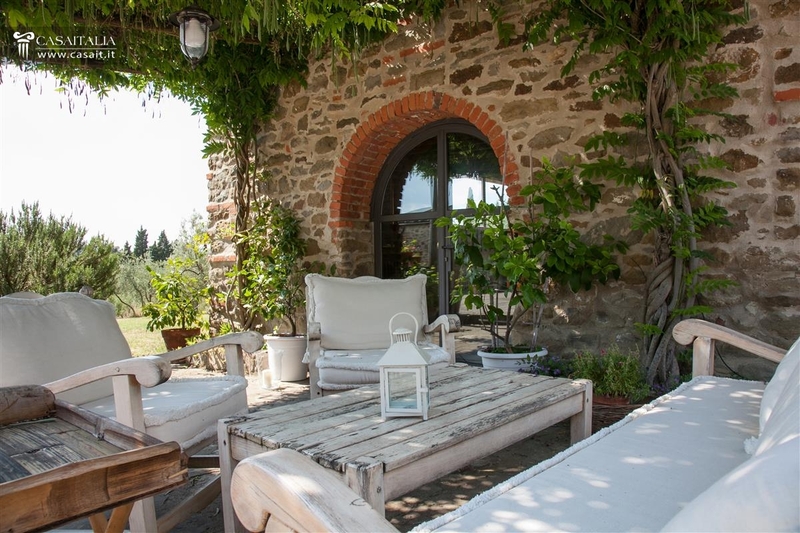 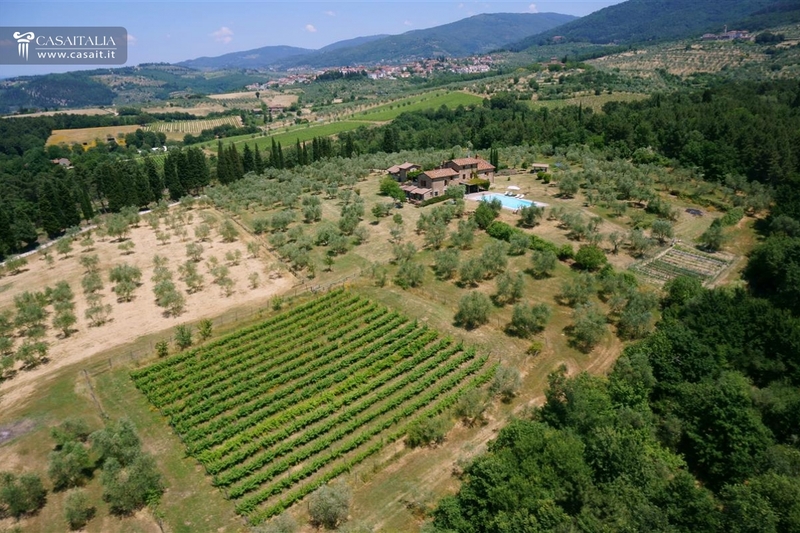 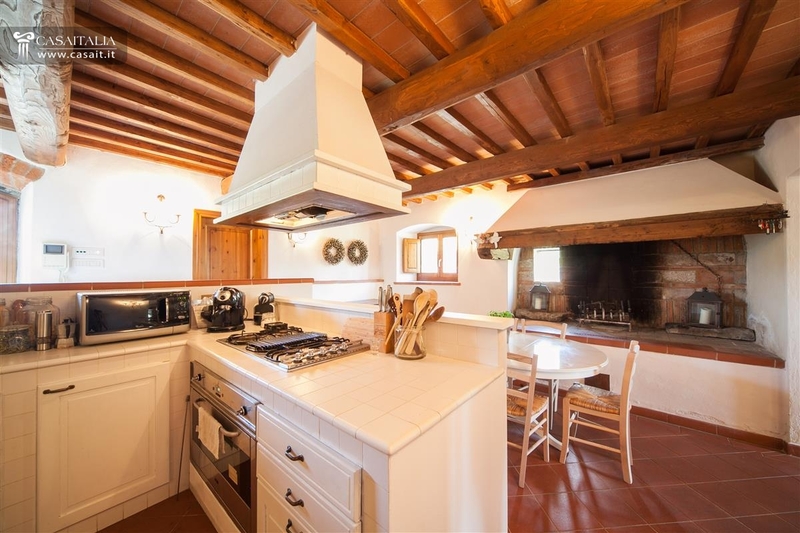 The country house is set in the typical uncontaminated Tuscan countryside, surrounded by hills and olive groves, as well as a nearby nature reserve. 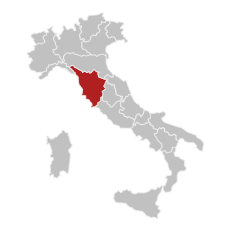 The nearest town is 3 km away while the main municipality (Reggello) is just 9 km away. 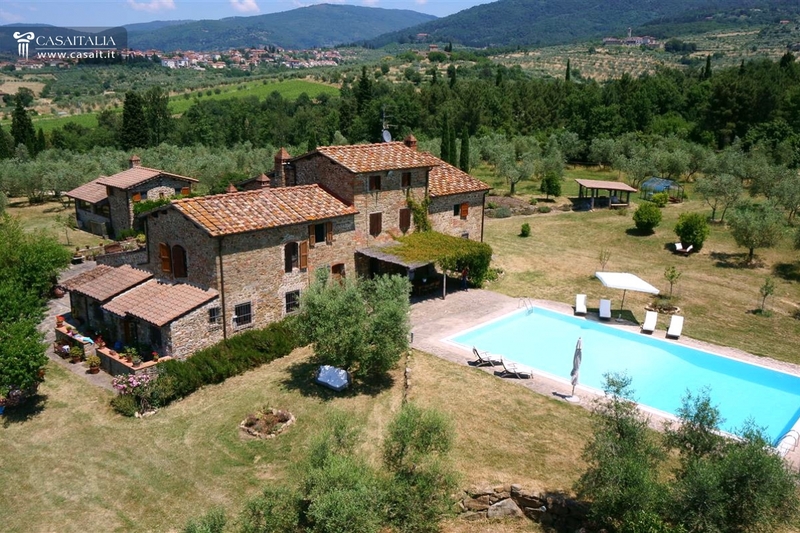 The nearest airport is that of Florence (52 km), which can be reached in less than an hour by car, thanks to the convenient A1 motorway connection, 12 km away. 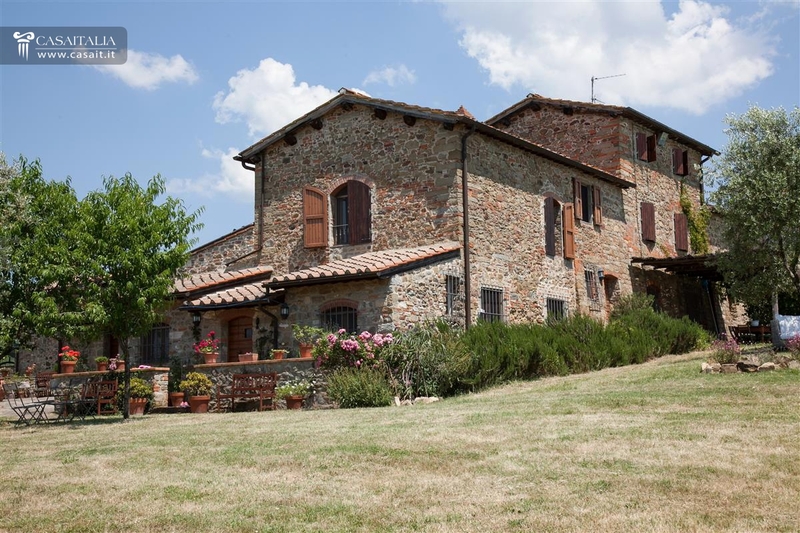 The property consists of the main country house with a swimming pool at the front, an annexe behind it and a little storehouse in the basement. 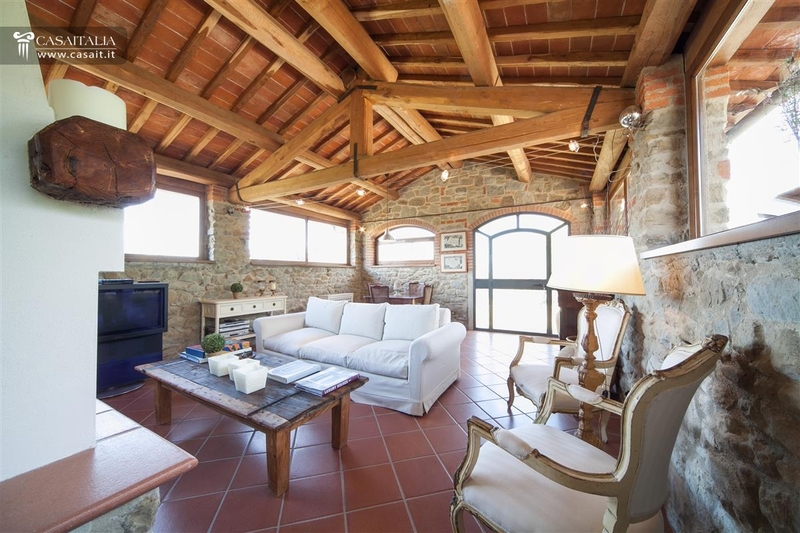 The country house, which measures 556 gross sqm, is spread over three levels and divided into two residential units, as well as a storehouse/deposit with a separate entrance. On the ground floor of the main residence, there is a large living room, a kitchen with a fireplace, a cellar, a pantry and two bathrooms. 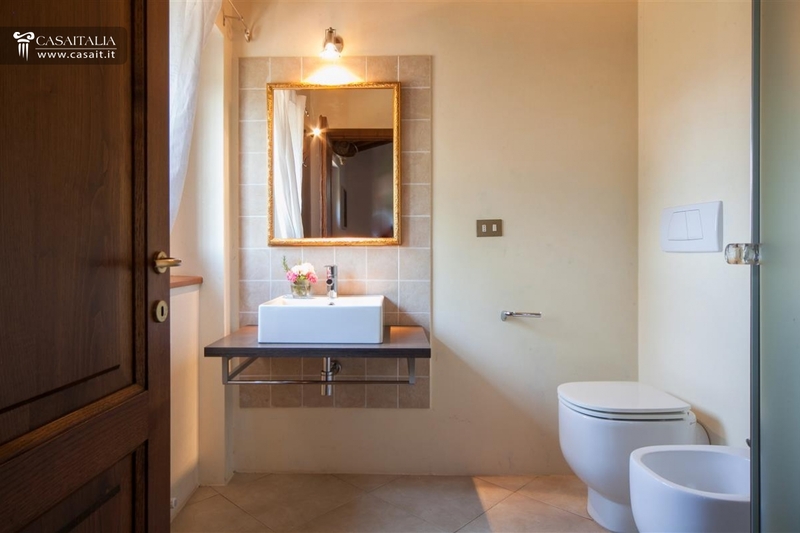 On the upper floor, there is the sleeping area, with four bedrooms and two large bathrooms. 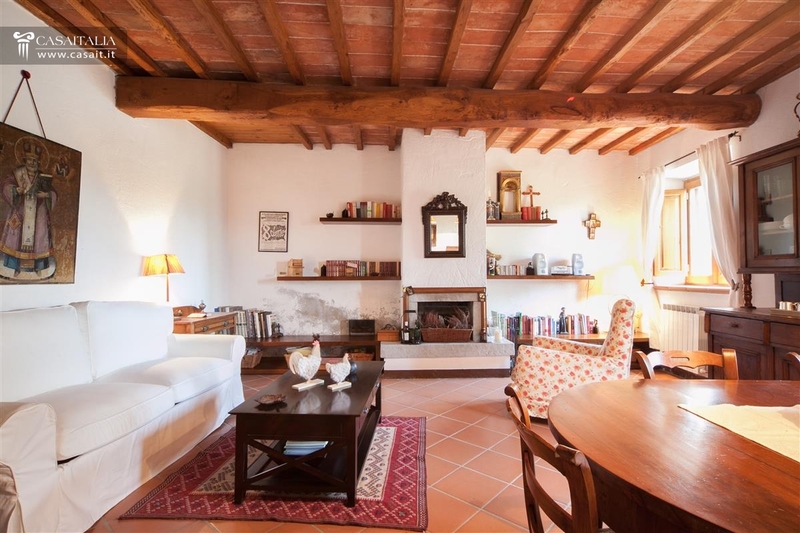 The top floor is intended for use as a studio but, if desired, could be converted into another bedroom. 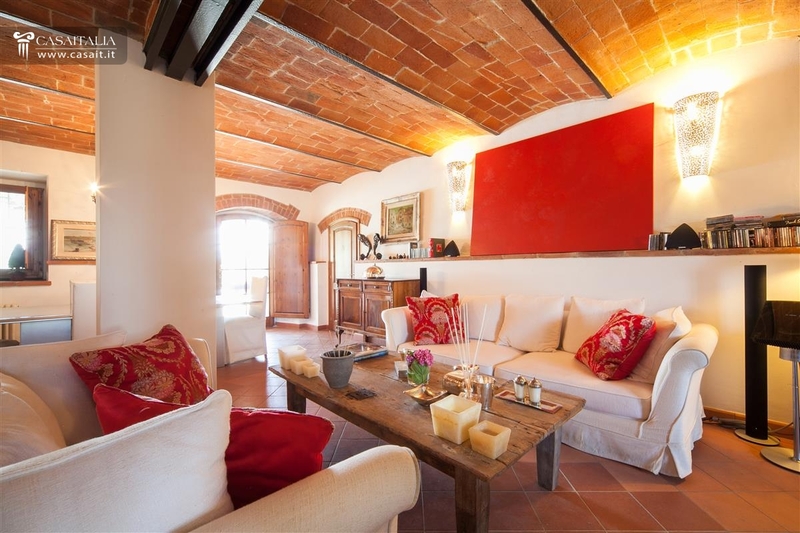 The other apartment, which has two floors, consists of a living room, a kitchen and a bathroom on the ground floor, plus a bedroom with a bathroom on the first floor. 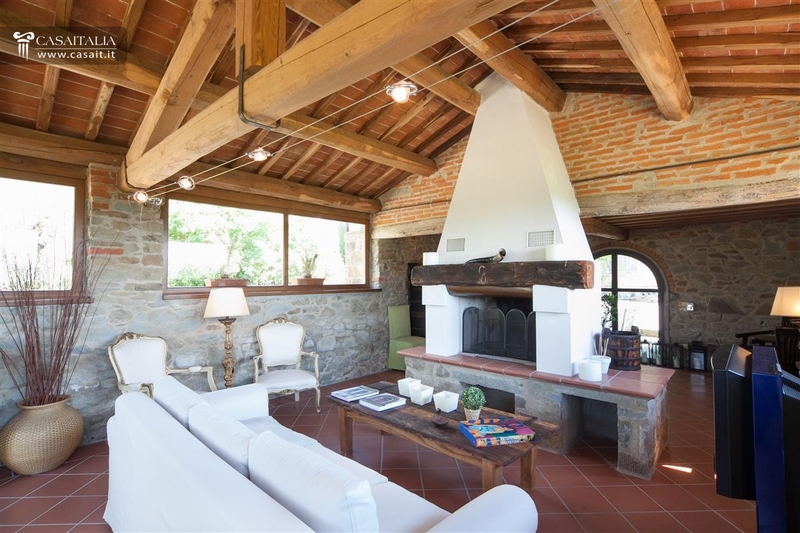 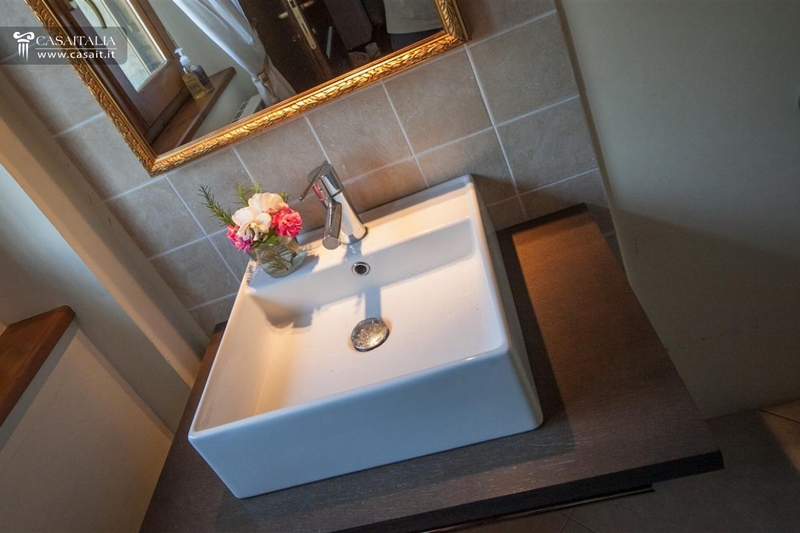 The annexe has a floor area of 87 sqm and consists of a large living room with a central fireplace on the ground floor, while on the first floor, which has a separate entrance, there is a bedroom with a bathroom. 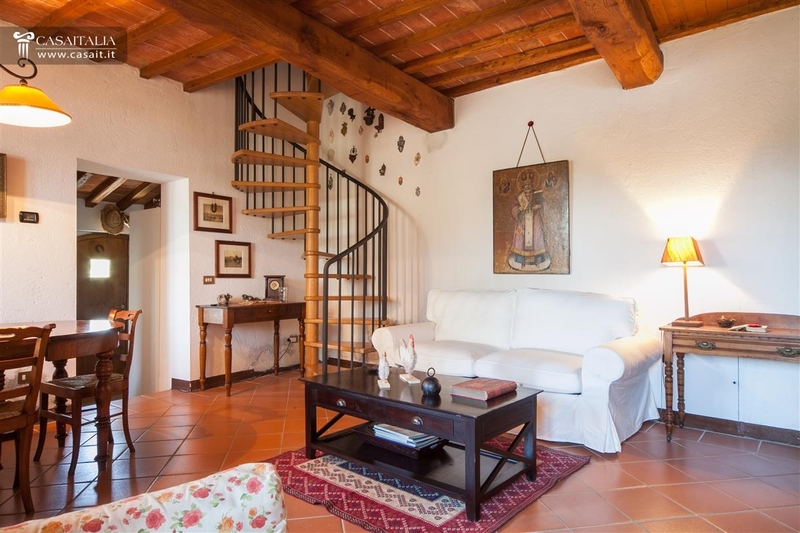 A small basement storehouse completes the property and measures 16 sqm. 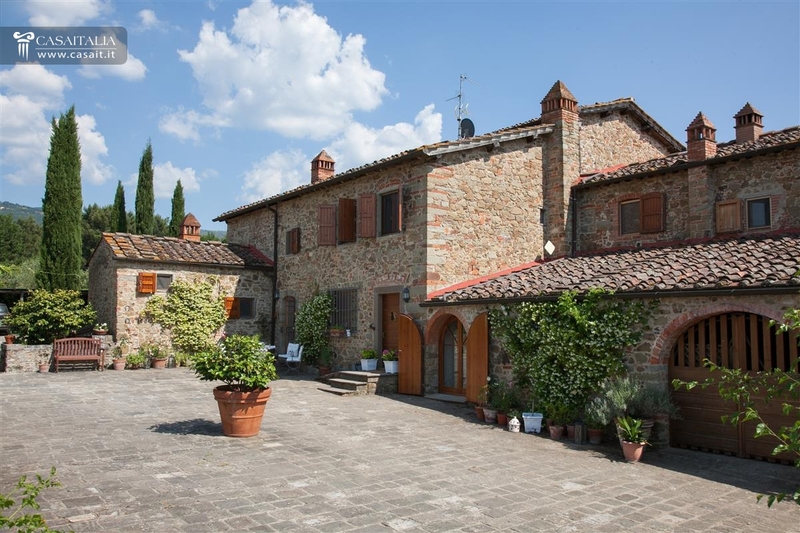 The country houses are in good condition: they were renovated a few years ago, maintaining intact the typical features of old Tuscan farmhouses: with exposed stone externally, the main country house still has vaulted ceilings in the living room on the ground floor, while in the other rooms, the ceilings have wooden beams and flat tiles. 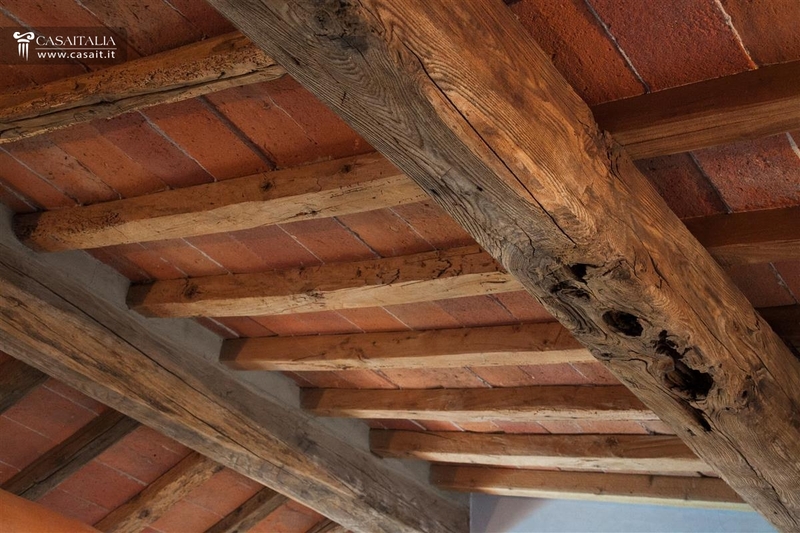 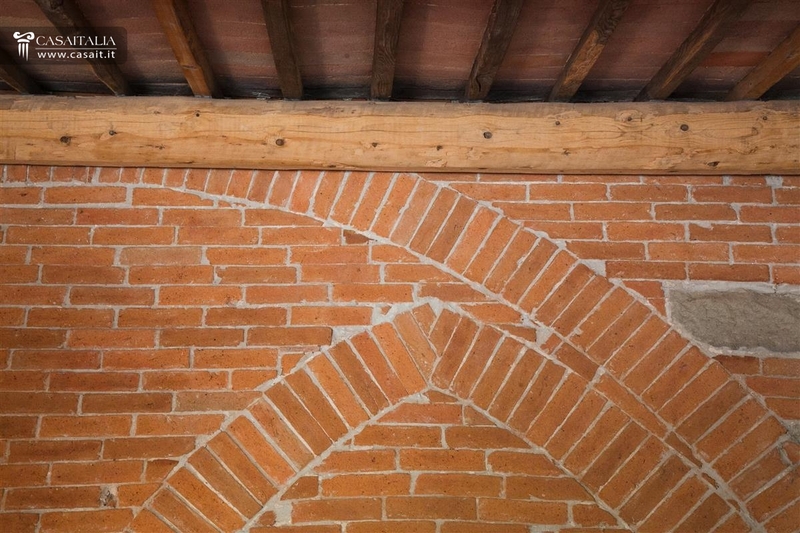 The floors are made from Florentine terracotta. 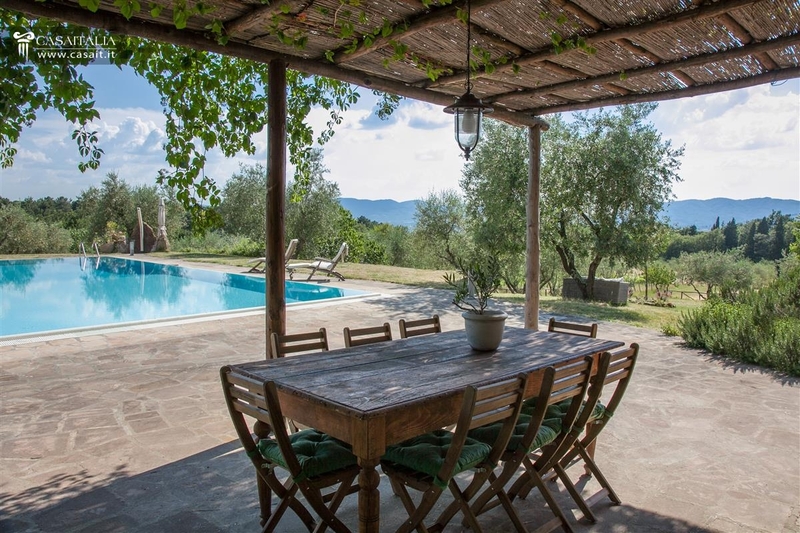 The country house and the annexe are surrounded by approximately 11 hectares of land, over half of which is cultivated as olive groves and there is also a vineyard. In front of the main country house, a lovely infinity swimming pool has been built, measuring 16x8 m.
Thanks to the size and division of the spaces, the property is the ideal solution both for those looking for a large residence, in which family and friends can be accommodated, while maintaining their own independence, and also for anyone who wishes to start up a tourist accommodation business, taking advantage of the convenient and scenic location and closeness to Florence (30 km).